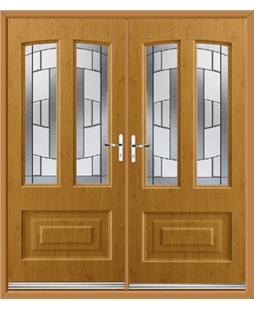 Here at Value Doors, our Rockdoor Composite French Doors incorporate a traditional timber feel with a modern touch. 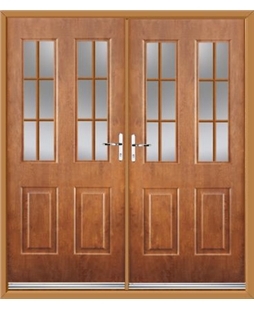 Like all French Doors, they make excellent external doors, and in true Rockdoor style they are both secure and thermal efficient. 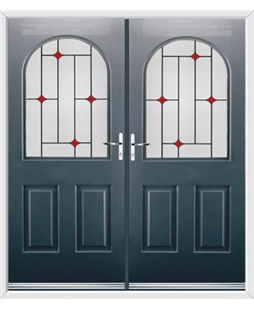 When it comes to the security of double French Doors, some people may be concerned about the amount of security they provide, as they can often be seen as a vulnerable point of a home. 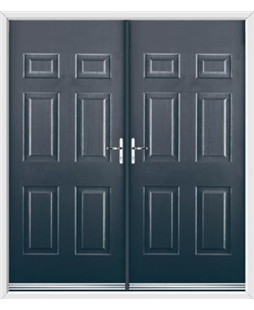 But, with Rockdoor you don’t have to worry! 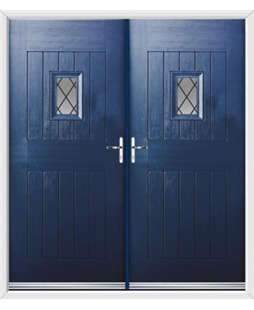 These French style doors are so secure that they have achieved 'Secured by Design' accreditation, so you can sleep at night knowing your home is safe. 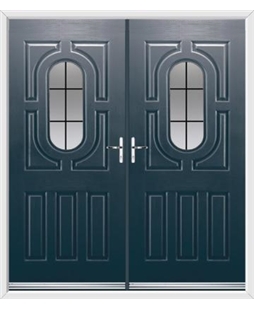 As if these extremely secure and stylish doors weren’t enough, they will also help you save money on your energy bills, with a Door Set Energy Rating of B, far above the industry standard. This is thanks to a high insulated core and double glazing, energy efficient glass panels. 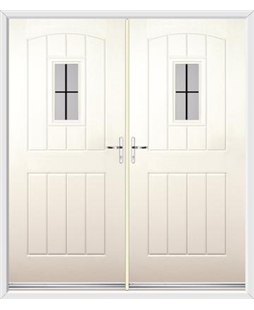 - We offer a total of 23 different styles of French patio doors, which are all available in 14 colours. 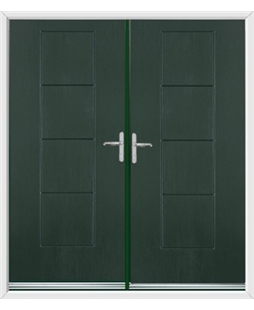 Rockdoor’s Classic French Door is modern on the inside, traditional on the outside. 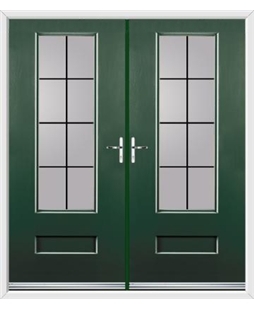 Its large double glazed glass panels cover nearly 75% of the door, allowing natural sunlight to flood your home.Like all French Doors, this door makes an excellent external door, and in true Rockdoor style is both secure and thermally efficient. 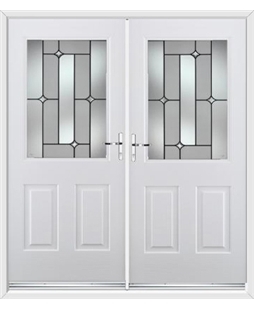 Our Ultimate Diamond French Doors has a unique moulding configuration that is eye catching. 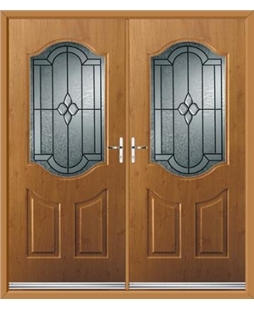 It has two diamond glass designs, with one feature on each door. 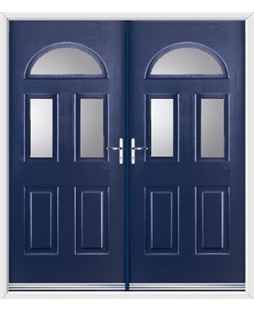 Our Regency French Doors have four mouldings with two glazed apertures towards the top of each door, allowing light to enter your hallway. 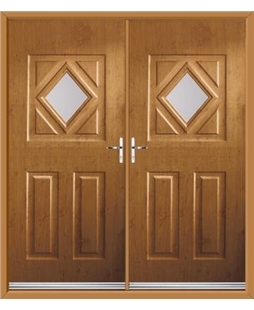 This traditional appearance looks equally at ease in a modern property or a more traditional facade. 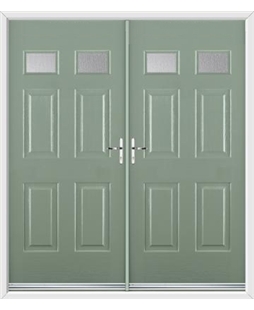 The Rockdoor Georgia Composite French Door is a traditional design that allows the centrally themed double glazed unit to take center stage in your doorway or hallway. 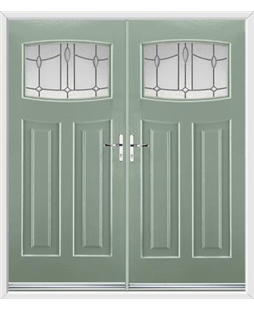 The Portland design of French Doors have large glazed panes which will allow plenty of light to cascade into your home and according to Rockdoor itself; the Portland Composite Door with Beacon glazing has become a firm favourite across the country. 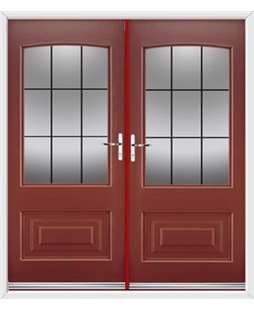 These French Doors can be accompanied by 7 distinct glazing options and 14 different colours. 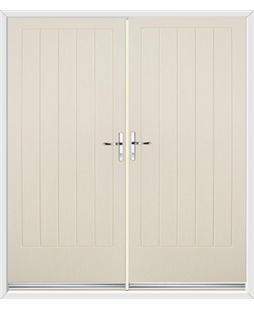 Rockdoor’s Vermont French Door hides modern technology on the inside, whilst looks traditional on the outside. The design belies what technology is at work underneath the 3mm door skin. 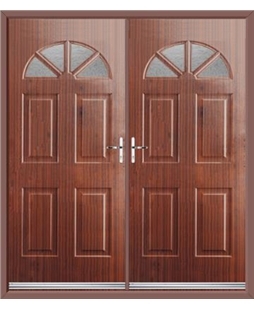 Despite having a large amount of glass, this door is still thermal efficient. 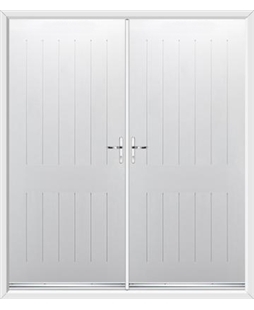 Rockdoor’s Illinois French Door hides modern technology on the inside, whilst looks traditional on the outside. The design belies what technology is at work underneath the 3mm door skin. 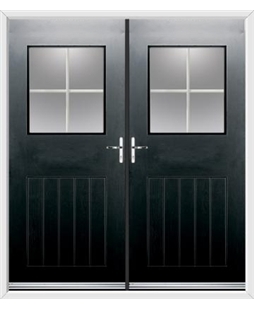 Despite having a large amount of glass, this door is still thermal efficient. 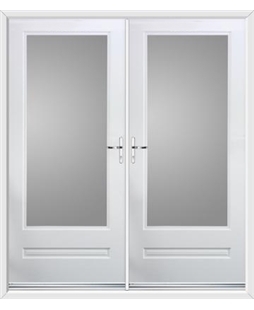 The Windsor composite design makes for wonderful French doors. The two large glazed panes are perfect for allowing natural light into an otherwise gloomy hallway. 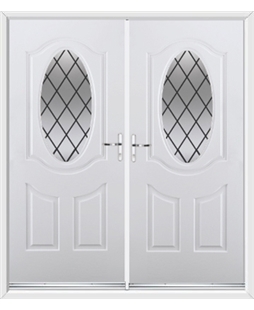 Because of this feature, the Windsor is just as suitable to be installed as a back door to any home. 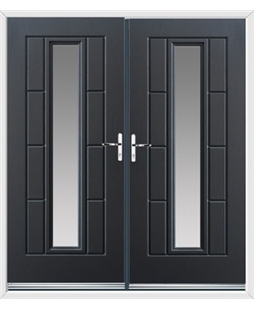 These Composite French Doors can be accompanied by 15 distinct glazing options and 14 different colours.